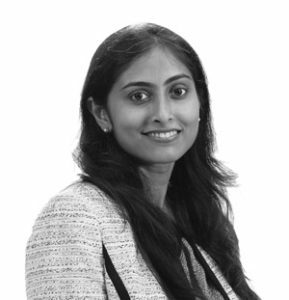 Aarti specialises in mergers and acquisitions, private equity and corporate and commercial advisory. She has regularly advised domestic and foreign commercial enterprises, financial institutions, private equity funds, start-ups, governmental bodies and public sector undertakings on corporate matters. She also has significant experience in advising on a number of capital market transactions. Abhilash has experience in advising real estate funds, multi-national companies, lenders, borrowers, retailers, institutional and non-institutional real estate investors, developers and operators in a broad range of business arena in aspects of investments, creation of security, sale and purchase, mortgage, loans, license, construction, services, agency & franchise, litigation and arbitration related to real properties. Abhilash has been recognized in 2014 by the Legal 500 Asia Pacific India Guide to Law Firms. 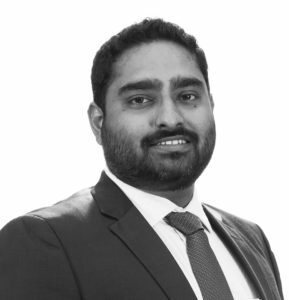 Abhinav has over 10 years of experience and focuses on a variety of capital markets transactions, including initial public offerings, follow-on offerings, rights issues, QIPs and preferential issues. 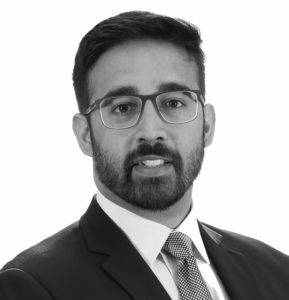 Chambers and Partners 2018 has recognized Abhinav as an “up and coming” capital markets lawyer and noted that he is “extremely responsive and gives nuanced advice”. 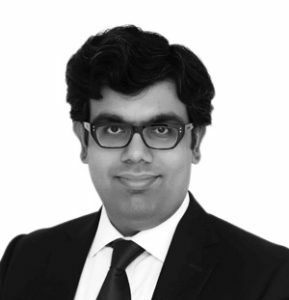 Indian Business Law Journal (2017-18) has recognized Abhinav for “constant and careful explanation, and strong advice on negotiations and legal requirements”. He is also recognized as a notable practitioner by IFLR 1000. 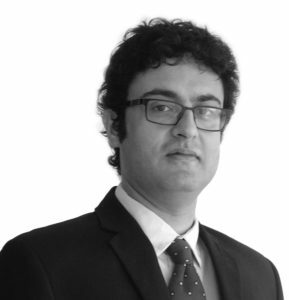 Aditya has experience across a wide range of disputes both of a general commercial nature as well as public and regulatory disputes. Such experience spans numerous sectors including financial regulation, sports, local government, planning and environment and public sector projects. He also regularly appears before Courts, Tribunals and Regulatory Authorities. 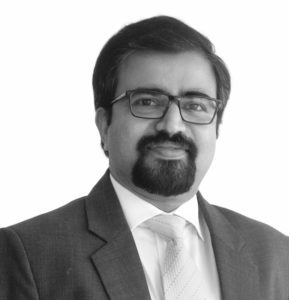 Ajay focuses on projects and financing advising various business groups on their construction and development side of domestic and international projects, and has advised banks and financial institutions on lending in airport, road, power generation and other infrastructure projects throughout Asia Pacific region. 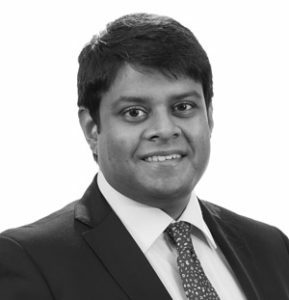 Akshay has advised on a number of foreign and domestic private equity investments, joint ventures, strategic investments and acquisitions, having represented investors/acquirers and the target companies, both listed and unlisted. 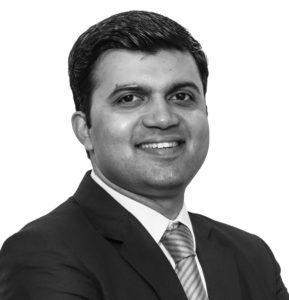 Akshay’s transactional experience spans a wide range of sectors, such as e-commerce, technology enabled services, financial services, construction-development and healthcare. Alice has significant experience in the areas of projects, infrastructure financing, outbound acquisitions and equity investments in the infrastructure space. Alice has represented private sector developers and private equity investors in various transactions and projects across sectors such as roads, ports and telecom. Alice has been featured and listed in the ‘Who’s Who Legal: Project Finance’ for the year 2014 and 2015. Amey specialises in infrastructure projects, projects and banking & financing. He routinely advises key Indian financial institutions, multinational banks and multilateral lending agencies with respect to financing of various infrastructure projects in the airport, power, telecom, oil & gas and road sectors in India. Amey has been recognized as ‘Leading Lawyer’ for Banking and M&A by IFLR1000, 2016. Amita has extensive experience in mergers and acquisitions, joint ventures and securities laws, and has led several complex and path breaking commercial transactions. She has a nuanced understanding of governance issues from a business and legal perspective and has undertaken training for directors of several listed companies. She has advised on significant constitutional and commercial matters in the 2G cases. She is a lawyer qualified to practice in India and also holds a Masters in Business Administration from the Graduate School of Business, Stanford University. Anand specialises in public market mergers and acquisitions, block trades, foreign investment and corporate restructuring. 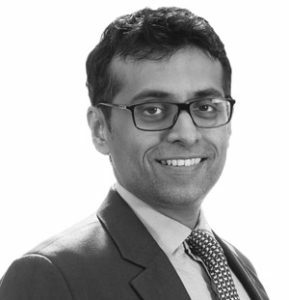 He has advised several reputed Indian and international companies in relation to complex acquisition and restructuring transactions and advised on some of the largest block deals in the Indian securities market. He also has considerable experience in advising on transactions involving on-market exits by private equity investors from their investments in India. Anchal focuses on advising listed companies, their sponsors and investors on a broad range of issues that include M&A, corporate restructurings and securities laws. 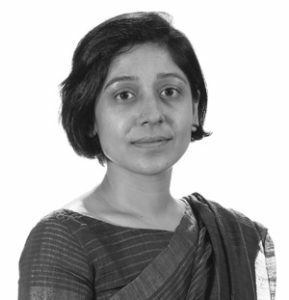 Given her extensive experience of advising various stakeholders in the listed space, Anchal is an integral part of the Firm’s corporate governance initiatives and advisory practice. Ankoosh focus is on dispute resolution, including arbitration, and corporate and commercial litigation. He works closely on arbitrations, commercial/corporate disputes, real estate and private client practice related litigation including succession and trust law disputes. He also works on the white collar crime area of the practice and has been involved in arbitrations, under ad hoc and institutional rules, seated in India and abroad. Anshuman advises on all issues related to market practice as well as market structure, including merger control, abuse of dominance and cartel enforcement. He advises on compliance aspects related to the enforcement provisions of Indian competition law and has conducted competition law audits. Further, he has been involved in advising clients in relation to the leniency programme of the CCI. He has advised clients across various sectors such as pharmaceuticals, automotive components, media and entertainment, financial services, heavy machinery, civil aviation, chemicals and information technology. Anshuman has been a resource person on merger control and abuse of dominance modules for the certificate courses provided by the Indian Institute of Corporate Affairs. He has recently also been invited to join the Editorial Board of the Journal of Intellectual Property and Competition Law. 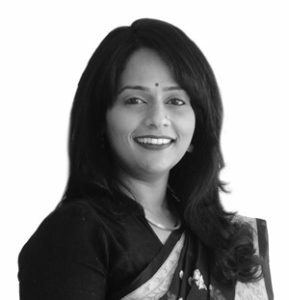 Anuradha has extensive experience of more than 20 years in litigation. She advises domestic and international clients in strategizing and undertaking variety of civil, commercial and corporate litigations and arbitrations. She has been actively engaged in wide range of commercial and infrastructure arbitrations. Anuradha is actively involved in litigation in the High Court of Delhi, the Trial Courts, the Company Law Board, the Competition Commission, the Debt Recovery Tribunal, the State and National Consumer Forums and the Supreme Court of India. 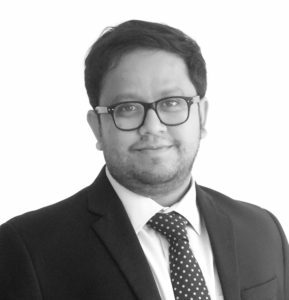 Arun is part of the Technology, Media and Telecommunications (TMT) group and has special expertise in advising clients in the electronics, information technology enabled services, outsourcing and information technology sectors. He was also a member of the Government of India’s working group on the legal enablement of information and communication technology systems. 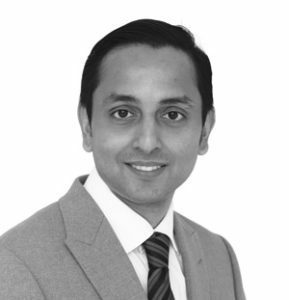 Arun was described as a “very effective and highly knowledgeable” lawyer by Chambers and Partners in 2011. 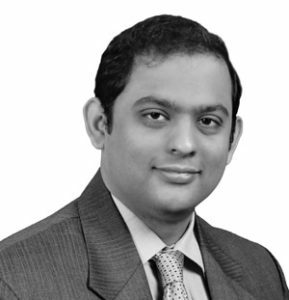 Ashish has over eleven years of experience in the Real Estate Sector. His areas of work within the sector extend to conveyancing, development of mixed used projects, redevelopment projects, warehouse and logistics, retail and hospitality. In addition to the above, he also advises on real estate aspects of corporate and financing transactions in sectors such as construction and development, special economic zones, power, cement, and many more. Ashwin is a specialist in the areas of intellectual property, pharmaceutical/ medical device regulatory and compliance affairs. He brings extensive domestic and international experience which spans a period of 15 years. Atman is part of project and project finance practice of the firm. He advises on transactions and regulatory aspects involving infrastructure and public private partnership projects, debt finance, acquisitions and joint ventures across various infrastructure verticals. 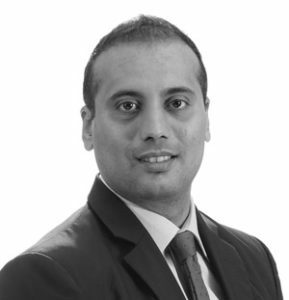 Avinash has over 15 years of specialist experience in the areas of banking & finance, financial regulatory, project finance and debt capital markets. He advises wide range of banks and financial institutions, multi-lateral agencies, governmental agencies and state owned enterprises and leading companies and funds, both in India and abroad. 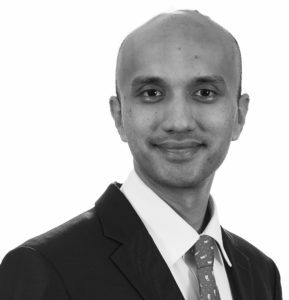 Avinash has considerable experience in and has advised on several matters relating to stressed asset management and debt restructuring. Bharat advises on the full range of competition law matters, including cartel enforcement, abuse of dominance, merger control and competition audit and compliance. 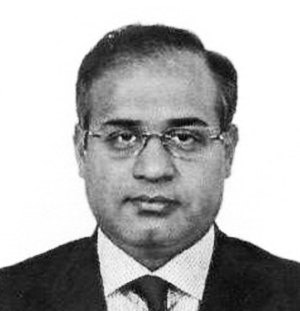 He has been involved in several merger notifications and has also successfully represented several domestic and international clients before the Office of Director General, the CCI and the Competition Appellate Tribunal in relation to alleged anti-competitive agreements and abuse of dominance investigations. Bharat’s contribution to the legal fraternity has been recognized by the Harvard Law School’s Award for Professional Excellence in 2016. Bharat has won several other national and international awards for his various achievements. He had a brilliant academic record in law and first rank holder in all India company secretary examination. 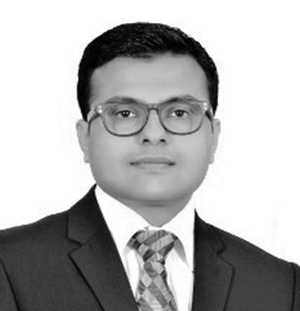 Bishwajit is involved in advisory work and as well as focuses on disputes and arbitrations in relation to Product Liability, Infrastructure projects, Corporate Commercial, Contractual, Bank Guarantee, Telecom, Automobile sector, Intellectual Property and also some criminal law matters including anti corruption laws. He regularly appears before various fora like the Company Law Board, CESTAT, BIFR, AAIFR, various District Courts, Delhi High Court and the Apex Court. Dhananjay specialises in project and project finance and focuses mainly on oil & gas, telecom and port sectors. He advises both lenders and developers in the infrastructure sector and has acted for many key players in this space. Dhananjay is also an integral part of the bankruptcy practice of the firm. 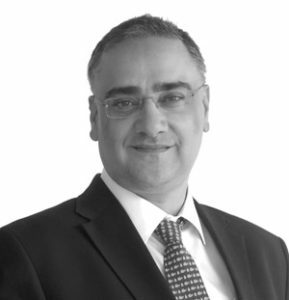 Faraz has significant experience in the areas of commercial litigation and investment dispute arbitrations. 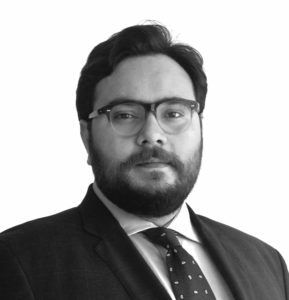 He regularly advises multinational corporations and financial institutions in a wide range of contentious disputes including investigations, litigation and regulatory enforcement proceedings in India. 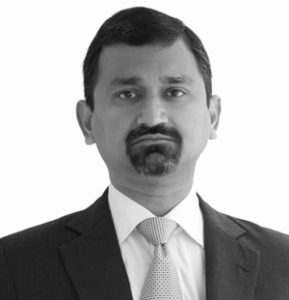 He has considerable expertise in telecom disputes and has notably advised one of the world’s largest telecom companies in the contentious Winding up of its JV company and in the 2G Scam criminal cases. 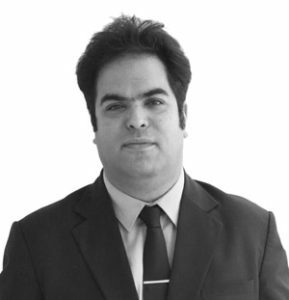 Faraz also has considerable expertise in white-collar, forensic and corporate espionage investigations. He has advised a number of foreign investors and financial institutions on Money laundering, FCPA and serious fraud investigations. Gaurav focuses on public offerings of securities, including, initial and follow-on public offers, rights issues, institutional placements, bond and depository receipt offerings and restructuring and buybacks of bonds. Gaurav regularly conducts lectures Public Issues of Securities at the Government Law College, Mumbai. 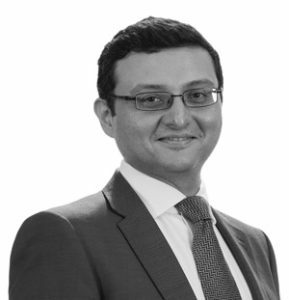 IFLR1000, 2016 has mentioned Gaurav as ‘Leading Lawyer’ for Banking and Capital Markets-Structured Finance and securitisation and M&A. Gaurav is part of the general corporate practice specializing in private equity, mergers & acquisitions, and venture capital investments. He has advised on a number of foreign and domestic private equity investments, joint ventures, strategic investments and acquisitions, having represented investors/acquirers and the target companies mostly in the unlisted space. Gaurav’s transactional experience spans a wide range of sectors, such as e-commerce, financial services, construction-development and healthcare. 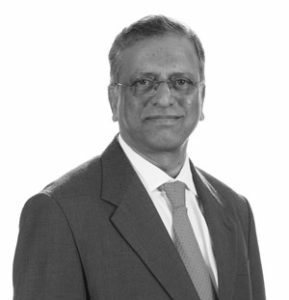 He has represented several funds on their investments in and exits from Indian companies, involving advice on transaction structuring and Indian securities & foreign exchange management regulations. He has also advised Indian business houses on various aspects such as capital raising and group reorganization, and represented start-ups on fund raising and acquisition transactions. 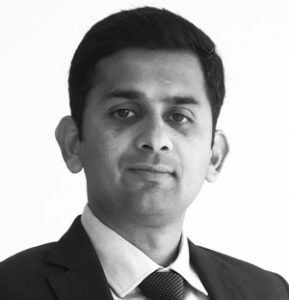 Gautam specialises in mergers & acquisitions, private equity investments and exits. He has led various transactions acting for private equity players, leading Indian and multinational corporations across various industry lines including NBFCs, retail, hospitals, mutual funds, insurance and FMCG. Gautam also advises various Indian listed companies on securities laws and corporate governance issues. Gautam holds a Masters’ in Corporate Law from New York University School of Law, where he was a Hauser Global Scholar. 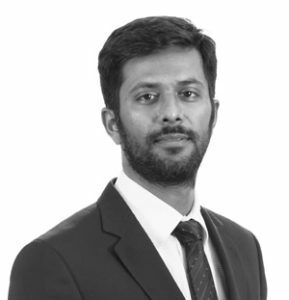 Gokul has over 12 years of experience and specialises in capital markets works including offer for sales through stock exchange mechanism, initial public offerings, follow on offerings, QIPs, rights offerings, ADRs, GDRs and FCCBs. 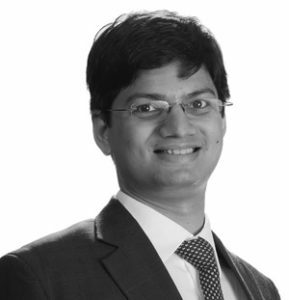 Gokul also has experience in privatisation, joint ventures, private equity investments and general corporate law. 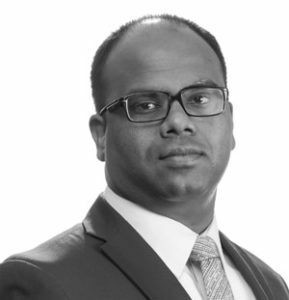 Gyanendra has advised Indian and foreign clients both investors and multinationals in variety of areas including disputes, mergers and amalgamation, arbitration, white collared crimes, joint ventures, private equity investments, diligences and real estate advisory. Chambers Asia Pacific has recognized him as ‘Notable Practitioner’ for Corporate M&A for the years 2017 & 2016. Himanshu has over 24 years of experience in mergers and acquisitions, private equity, corporate finance and general corporate advisory. He has steered transactional aspects of various deals, including inbound and outbound investment; advisory on complex matters pertaining to international collaborations and fundraises and having regard to sector specific matters. 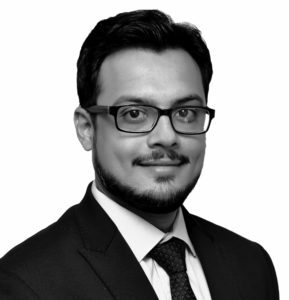 Himanshu has been recognised for his stellar work by various legal publications, including Who’s Who Legal, Legal 500, Chambers Asia Pacific and Chambers International. Hiral focuses on real estate sector with over nine years of experience. She has been involved in several real estate transactions involving FDI investment, acquisition of agricultural lands, development of lands for setting up mixed projects (with particular focus on MMRDA lands in Bandra-Kurla Complex), drafting of transaction documents – acquisition/disposal, leasing and development. Indranath is involved in general corporate advisory, foreign direct investments, mergers and acquisitions and joint ventures and specializes in the Insurance industry. He has advised multiple corporations, both Indian and foreign, in relation to the establishment, operation, management and control of insurance companies in India. Pursuant to the amendments of the Insurance Act as well as the Foreign Investment Policy relating to the insurance sector in 2015, Indranath has been involved in multiple deals involving the entry, exit and increase of ownership of stakeholders in the said sector. He also advises on mergers and acquisitions in other financial services sectors such as mutual funds, credit information companies, commercial banks, credit card companies, and payment and settlement systems. Other sectors that he has advised in include civil aviation, retail, consumer goods and services, and real estate. 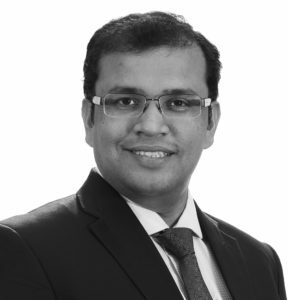 Indranil has experience across a wide range of disputes both of a general commercial litigation nature and public and regulatory disputes. This experience has covered numerous sectors including financial regulation, health, sports, local government, planning and environment and public sector projects. Indranil also advises the Board of Control for Cricket in India (BCCI) in relation to their contract and tenders. Jay specialises in energy, infrastructure, projects, natural resources law and general corporate. 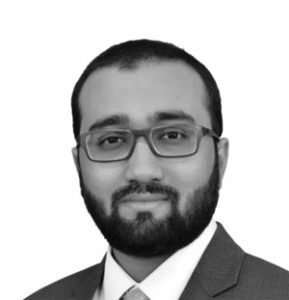 He advises governments and regulators on the policy framework, and has diversified experience in dealing with upstream, midstream & downstream operators, and works with investors, suppliers & contractors on complex commercial, transactional, and dispute resolution issues. He currently serves on the US-India Gas Task Force constituted by the Department of Energy, Govt. of US, along with Ministry of Petroleum and Natural Gas, Govt. of India. He had drafted the current Master Revenue Sharing Contract (MRSC) and related policy documents under the Hydrocarbon Exploration Licensing Policy (HELP). Jay has also assisted the Parliament of Canada as a legal counsel on an ethics investigation, and drafted free-zone laws of a Middle-East Country. 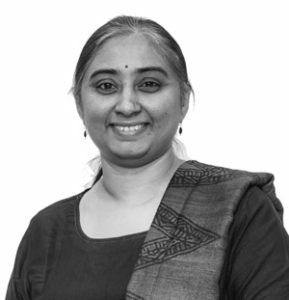 Jaya is a general corporate lawyer with more than two decades of experience. She has advised foreign and domestic clients across various sectors including real estate, infrastructure, financial services, media, healthcare and mining with respect to domestic and cross border investments, mergers and acquisitions, joint ventures, other partnering arrangements, restructurings and exits. She has also extensively worked on corporate finance, policy related advisory (for public private partnerships), project finance and developing structured financial products as an in house counsel with Infrastructure Development Finance Company Limited for almost 8 years. 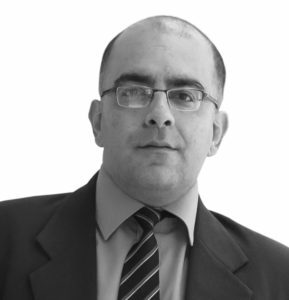 Joseph specialises in asset financing, structured finance and debt restructuring. He regularly advices some of the leading private banks and foreign banks in India. 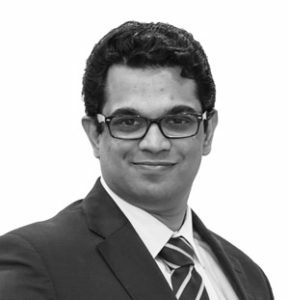 Prior to joining the firm, Joseph has worked with a leading law firm based in London and with ICICI Bank Limited, one of India’s largest private sector banks. 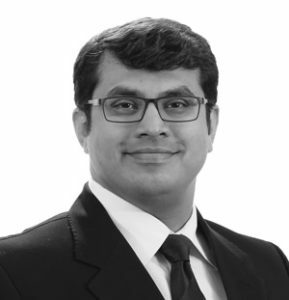 Kapil’s expertise in dispute resolution ranges from the matters that are subject to both domestic and international commercial arbitration and litigation before the Supreme Court of India and High Courts. He has also successfully represented leading companies in corporate fraud and white-collar crimes. 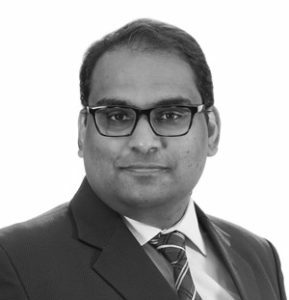 Kranti has advised clients on a number of capital markets transactions, including IPOs, QIPs, private placements, rights offerings and overseas listings. He has also assisted with the work related to the firm’s representation on various regulatory committees and assistance to industry chambers and market intermediaries on securities laws related matters. He is currently also focussing on listing of Infrastructure Investment Trusts and Real Estate Investment Trusts in India. 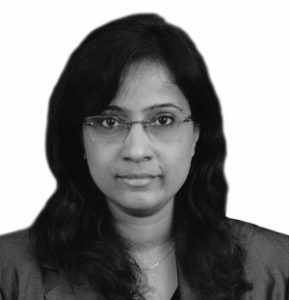 Leena has an extensive experience in general corporate, acquisitions structured finance and securitization transactions. She also has a considerable experience in, foreign investment, private equity and structured finance. Maheshwari’s advisory and transaction experience extends to foreign and domestic private equity and venture capital investments, inbound and outbound mergers and acquisitions, joint ventures and corporate restructuring. She also has extensive experience advising on securities market laws. Her sectors of expertise include e-commerce, consumer healthcare and technology enabled services. Manan specialises in mergers and acquisitions, private equity, corporate and commercial advisory, in the listed and unlisted space and is actively involved with several resolution applicants in the IBC space. He has regularly advised domestic and foreign commercial enterprises, financial institutions, private equity funds, start-ups and public sector undertakings on corporate matters. He has represented several funds on their investments in and exits from Indian companies, involving advice on transaction structuring and Indian securities & foreign exchange management regulations. 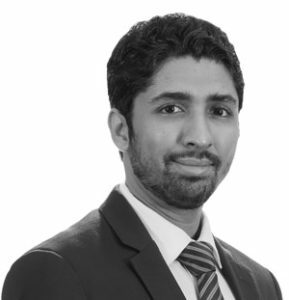 He also has significant experience in advising on a number of capital market transactions, both on the debt and equity side, as well as experience across a wide range of disputes both of a general and commercial nature. 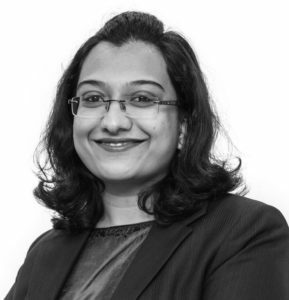 Manisha specialises in cross border private equity investments, mergers & acquisitions (both in the listed and unlisted space, across diverse sectors), having a rich experience in investment restructuring, and securities law advisory. 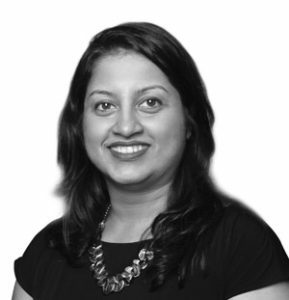 Manisha is a ‘recommended lawyer’ by clients, as featured in London based RSG Consulting’s India Report for 2015. Manita has worked on a variety of M&A transactions, including joint ventures, PE investments, acquisitions and asset transfers, having represented investors/acquirers and the target companies, both listed and unlisted. She regularly advises clients on various matters, in relation to the Companies law, ESOPs, Takeover Regulations, Insider Trading Regulations, Listing and Disclosure Regulations, FEMA and other general corporate matters. Manu focuses on mergers and acquisitions, private equity and joint ventures. He has worked on a wide range of complex matters involving foreign direct investments, cross border mergers and acquisitions and joint ventures. He also is a member of the Firm’s Japan Desk. 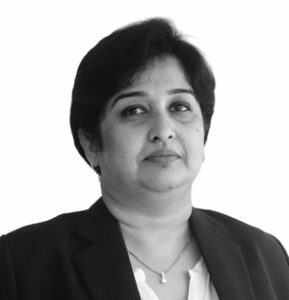 Mekhla leads the indirect tax practice and brings with her extensive experience in advising large Indian and multinational companies in validating supply chains, formulating of indirect tax efficient business models, identifying innovative tax planning opportunities, cross border structuring, turnkey contracts, mergers and acquisitions as well as tax litigation. 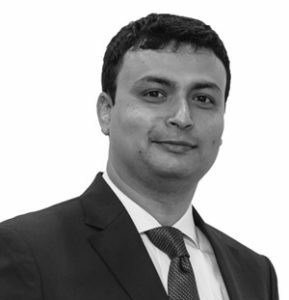 With close to 8 years of experience, Mridul is part of the firm’s Real Estate Practice based out of our Bengaluru office, having relocated in 2013 from our Mumbai office. 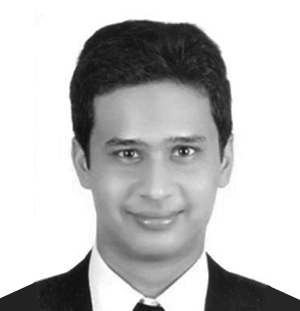 Mridul graduated from NUALS, Kochi in 2008. Nagavalli has been closely involved in several leading acquisitions, joint ventures, real estate financing, both in public and private companies and cross jurisdictional matters. Her work spans over advisory (including regulatory), strategic and transaction related matters. She also has significant exposure to labour laws and litigation. 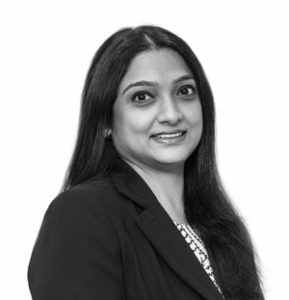 Namrata has advised several Indian and overseas clients in both real estate transactions and has represented them in dispute resolution matters. 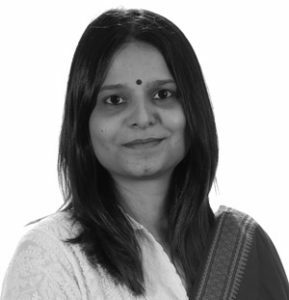 She has expertise in practice of debt recovery, mergers and amalgamations and property/corporate / commercial litigations and real estate development and establishment of corporate campuses. She also advises on general corporate law including on joint venture, shareholders issues, mergers and acquisitions and arbitrations. 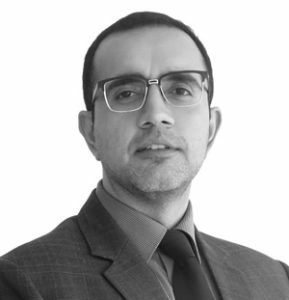 Omar specialises in dispute resolution, including domestic and international arbitration, writ petitions/regulatory matters and commercial litigation. He also specialises in matters relating to white collar crime and economic offences. He represents clients across various sectors in court litigations and also, international commercial arbitrations. Omar has also represented clients in investment treaty arbitrations at the Peace Palace, The Hague. 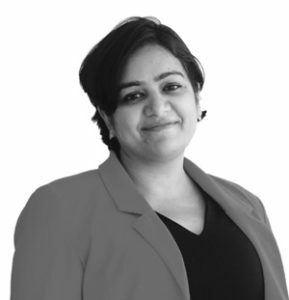 Pooja has over twelve years of experience in a range of corporate areas, and specializes in private equity and venture capital investments, mergers and acquisitions, joint ventures and strategic partnerships, both domestic as well as cross border. 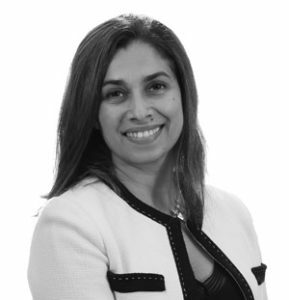 She also has extensive experience in a range of corporate advisory and strategy matters including corporate, shareholder and joint venture disputes. 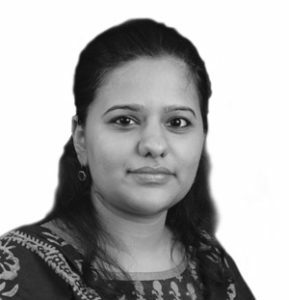 She has advised on transactions across industries including cement, mining, manufacturing, telecom, media & entertainment, real estate, seeds & agriculture, hospitality, healthcare, pharmaceuticals and IT & ITeS as well as a range of structures and instruments including equity, structured debt and mezzanine finance. 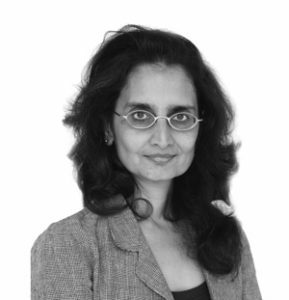 She has advised several leading private equity funds as well as leading Indian and international business houses. Pooja has been recognised as one of the three “Next Generation Indian Corporate and M&A Lawyers” in 2016 and 2017 by Legal 500. 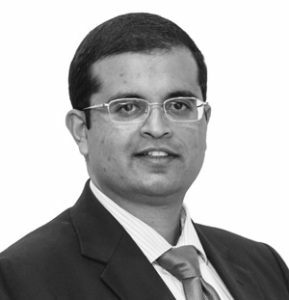 Pranav has over 15 years of specialist experience in Banking & Finance, Project Finance and Debt Capital Markets. He has advised banks and financial institutions, multi-lateral agencies, sovereigns, governmental agencies, state owned enterprises and companies across a varied spectrum of financings – both in India and abroad. 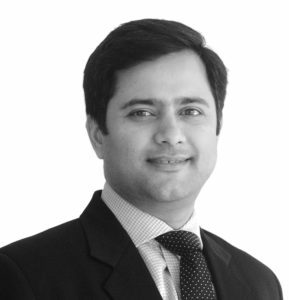 Pranav worked for over 6 years in the banking group at Linklaters LLP in London. He is dually qualified in India and England. 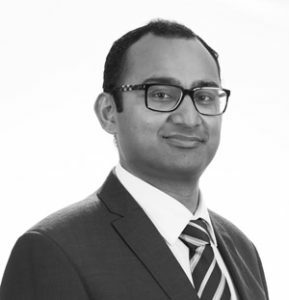 Pranay is part of the general corporate practice group with a special emphasis on mergers and acquisitions. He has worked on a wide range of matters and has been closely involved in many complex mergers, restructurings, acquisitions, joint ventures, foreign direct investments and collaborations involving some of biggest corporate houses in India. 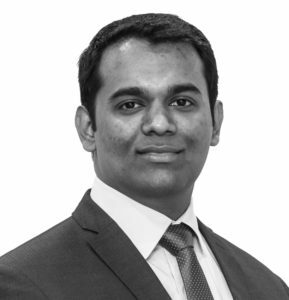 Prior to joining the firm, Pranay worked in a Bengaluru based law firm and at Osborne Clarke, Cologne where his primary area of practice was general corporate. 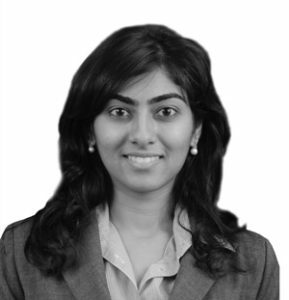 Radhika is part of corporate team and co-head’s private client practice of the firm. She specialises in estate and succession planning, family settlements and constitutions and establishment of trusts. Radhika advises on establishment of charitable institutions to aid and promote the philanthropic endeavours of individuals, families and corporate. She also advises on general corporate matters, with a special focus on private acquisitions and India inbound and outbound foreign investments. 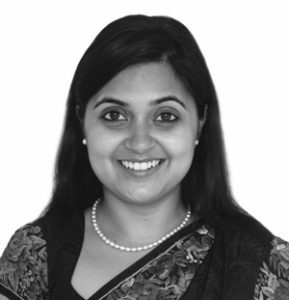 Radhika is also a core member of the Firm’s Japan Desk. His qualifications includes license to practice in India and admitted to the New York Bar. Rashmi advises both domestic and international clients on legal aspects of their business strategy in India, including on various commercial arrangements, entry strategy, private equity, mergers, acquisitions, restructuring, foreign investment and employment matters. Chambers Asia Pacific, 2017 has mentioned her as a ‘Recognised Practitioner’ for Employment. 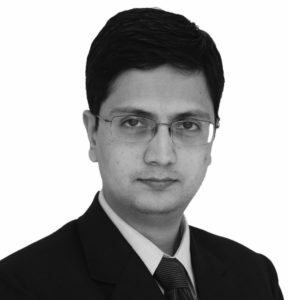 Ravi has over 12 years of experience in general corporate and advisory work. He focuses on mergers and acquisitions and corporate restructuring. He has been associated with a number of complex acquisition and restructuring transactions. He has also worked on various private equity transactions, advising both on investments as well as exits by private equity investors. 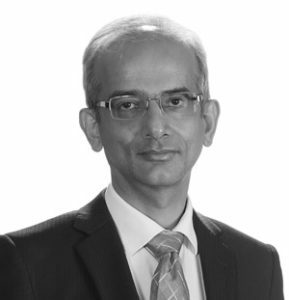 Ravi is dual-qualified in India and the UK having a wide range of experience working in both the jurisdictions. He primarily focuses on cross-border corporate transactions, mergers and acquisitions, joint ventures, private equity and venture capital investments, advising national and international clients. He has also assisted clients on a range of complex commercial agreements including international franchising arrangements, project management and consultancy agreements, technology and data-center infrastructure agreements. His experience spreads across sectors including pharmaceuticals & healthcare, technology, FMCG, manufacturing, infrastructure, defense and aviation. Reuben focuses on public offerings of securities, including, initial public offerings, qualified institutions placements, institutional placement programmes, rights issues, offshore listings, REIT listing etc. He has advised companies across various sectors, including, information technology, retail, healthcare, real estate, infrastructure, manufacturing, financial services and entertainment. 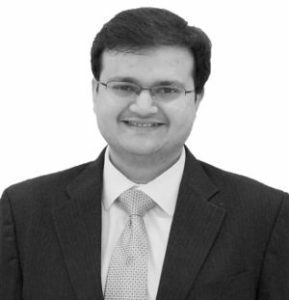 Rishabh is part of corporate team and co-heads private client practice of the firm. He advises on foreign investments into India, private mergers & acquisitions, joint ventures, insurance, and property / real estate transactions. He also specialises in family constitutions and settlements, trusts, wills and succession planning. He is a Solicitor, Supreme Court of England and Wales and a core member of the Firm’s Japan Desk. Rishabh was awarded the ‘Private Client Lawyer of the Year 2015’ award by The Asian Lawyer in November 2015. He is also, recipient of ‘40 under 40 Rising Star’, awarded by Legal Era in 2016. 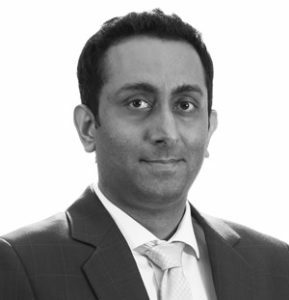 Rishi’s practice focusses on mergers, acquisition and private equity. 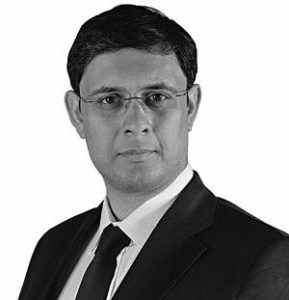 He has over 16 years of experience of working with the corporate finance practice of Clifford Chance (London), private equity practice of Herbert Smith Freehills (Sydney) in addition to working with the corporate practice of leading law firms in India, including the erstwhile Amarchand & Mangaldas & Suresh A. Shroff & Co. Rishi is also qualified as a Solicitor (England & Wales) and has extensive experience of working on domestic as well as cross-border transactions in India, U.K, Africa, Middle East and Australia for corporates as well as private equity houses across various sectors, including infrastructure, consumer goods and retail, healthcare and life sciences, industrials, telecommunications and natural resources. 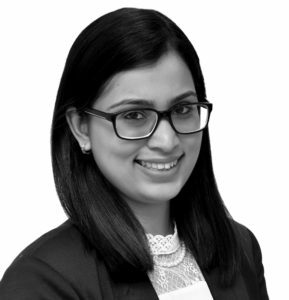 Ritika has an extensive experience in corporate commercial laws including advising on inbound and outbound investments, joint ventures, private equity, business acquisition and restructuring, along with corporate and regulatory advisory. 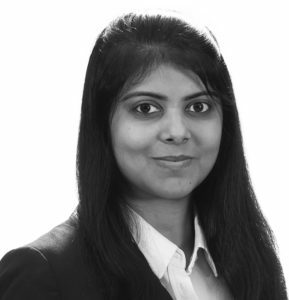 Ritika has advised numerous Indian and foreign clients across sectors which include, real estate, pharmaceutical, financial services, broadcasting, travel and hospitality, telecom, insurance and retail. Rohil focuses on mergers and acquisitions, private equity, joint ventures, strategic investments and acquisitions. He has represented investors as well as companies and their promoters in equity investments in Indian companies (listed as well as unlisted) by Indian and foreign investors in sectors covering financial services, energy, infrastructure, logistics, manufacturing, real estate, retail and information technology. Ruchira is part of the project finance, energy & infrastructure practice. She focuses on project development, financing and infrastructure investment, especially in the power and ports sector and has also advised and acted for various project developers, banks and financial institutions, both Indian and international. Ruetveij specialises in mergers & acquisitions, private equity, transaction & business structuring, financings and has a rich experience in the international capital markets and stressed assets space. He has closely worked with banking and management teams in a variety of situations and has contributed towards the formulation of several innovative structures, strategies and novel solutions. 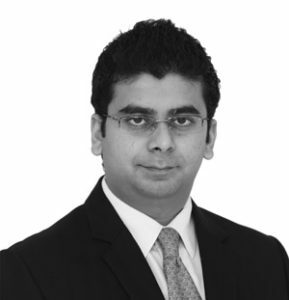 Sandeep exclusively focuses on core conveyancing and real estate transaction support work. He represent clients on number of aspects including buying and selling freehold land, buying, assigning, surrendering and renewing title in leasehold land, developing lands and constructing buildings, investigating and issuing title reports and real estate documentations. He has been mentioned as a ‘Key Contact’ for Real Estate by Chambers Asia Pacific, for the years 2017 & 2016. Saurya focuses on domestic and cross border equity investment and routinely advises on legal issues involving India entry routes and investment structures for foreign entities as well as various regulatory and corporate compliance matters for companies doing business in India. He also advises on strategic investments, financial investments, joint ventures, corporate restructuring, asset and business purchases, commercial contracts and other negotiated deals. 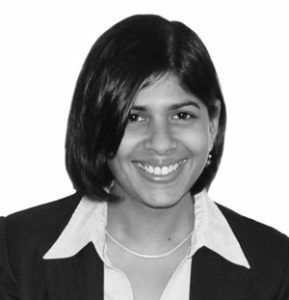 Shaneen focuses on dispute resolution, including arbitration (domestic and international), and corporate and commercial litigation. She has appeared in arbitrations and various regulatory forums and courts (including High Courts, and the Supreme Court), across the country. 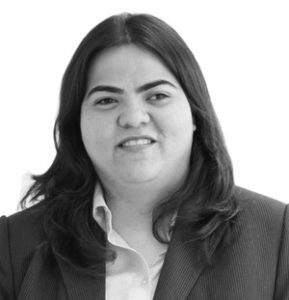 She has assisted a leading chamber of commerce in drafting its rules of arbitration, conciliation and mediation. 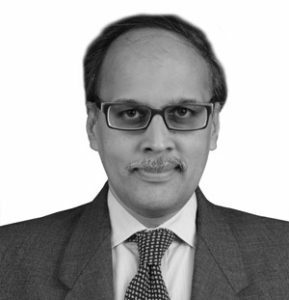 Sharad has around 40 years of experience and currently focusing on handling complex commercial disputes, winding up proceedings, scheme of arrangements, amalgamation, proceedings u/s 397/398 of the Companies Act reduction of capital and other incidental proceedings under the company law, DRT proceedings, arbitration proceedings, etc., contentious matters relating to securities law before SEBI, SAT, National and State level regulatory authorities. 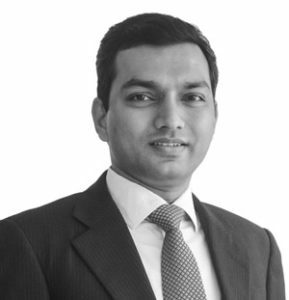 Shishir has advised Indian and overseas clients for over eleven years on mergers and acquisitions and general corporate matters. He regularly advises fortune 500 companies on M&A and the structuring of transactions. His book on the SEBI’s takeover regulations (Shishir Vayttaden on SEBI’s Takeover Regulations) was published by Lexis Nexis Butterworths. 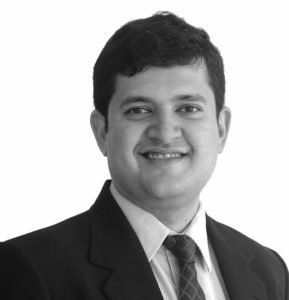 He was included in the “40 under 45” list of Indian Lawyer 250 in 2013. Shruti is part of the financial regulation practice of the firm with a special emphasis on regulatory issues in relation to RBI and SEBI regulated intermediaries. Her expertise in financial regulation spans across market entry/innovation, ongoing compliance issues, transactional advisory as well as internal investigations and regulatory representations. Smruti specialises in foreign investments into India, public and private mergers & acquisitions, joint venture and the SEBI Takeover Regulations. She has advised top tier Indian as well as foreign companies, private equity players and the promoters and understands the deal dynamics from the investor’s and the target’s perspective. She is core member of the firm’s Germany Desk. Smruti is also a qualified Company Secretary. 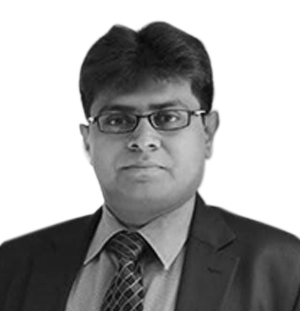 Sourav focuses on general corporate advisory, M&A transactions, JVs, securities law advisory, corporate governance and commercial contracting. He has extensively advised Indian and multi-national companies (listed and unlisted) across different sectors, such as, manufacturing, retail, pharma, information technology, media & entertainment, e-commerce, financial services, etc. 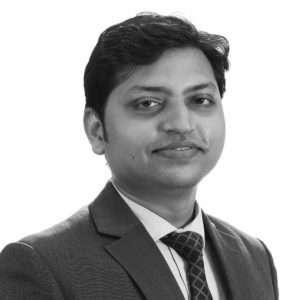 Sourav has over 14 years work experience, which includes 3 years of working in-house with Reliance Communications and Avaya GlobalConnect. With close to 10 years of experience, Spandan is part of the firm’s Project Finance Practice based out of our New Delhi office having rejoined us in 2015. Spandan graduated from the National Law School of India University, Bengaluru in 2007. 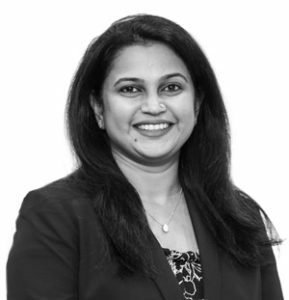 Subhalakshmi has represented various clients including strategic developers, investors and funding institutions both domestic and international in the infrastructure space. She has advised in projects, project financing, refinancing, structured financing and cross border transactions. She has worked extensively in infrastructure projects in the roads, ports and renewable energy sectors. Subhojit is part of the Projects and Project Finance practice group and has worked on a wide range of experience in banking, projects, project financing, structured financing and debt restructuring across various sectors including Solar, Wind, Road, Thermal, Oil & Gas, Transmission, Real Estate, Ports, Hydro, Warehousing, Aviation, Automobile. Tushar‘s experience includes litigation, arbitration and transactional advisory work on a wide range of issues. He has advised several domestic and international clients in a variety of matters including joint ventures, private equity, mergers, acquisitions, technology transfer, trademark and name license agreements, software license agreements, aircraft operating lease agreements, financing of acquisition of aircraft, and several other commercial contracts. Uday specialises in infrastructure projects, public-private partnerships and banking & financing. He advises financial institutions, multilateral lending agencies, governments and statutory bodies, and financial advisors. 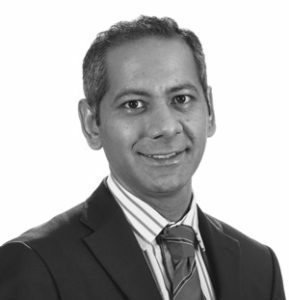 Uday has previously worked with the International Finance Corporation. 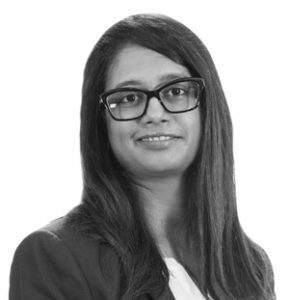 Vandana is currently part of the general corporate practice group and specialises in private equity, joint ventures and corporate commercial transactions. She has previously advised private equity funds, banks, financial institutions, hedge funds in their investments across various companies in India. Vijay focuses on public offerings of securities, including, initial public offerings, qualified institutions placements, institutional placement programmes, foreign currency convertible bonds etc. He has also been associated with debt offerings. 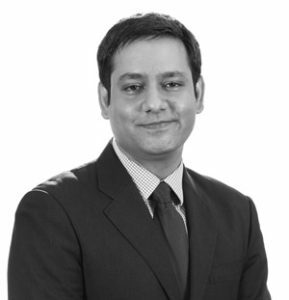 Yashojit has over 15 years of experience in managing mergers, acquisitions, foreign investments and private equity transactions. He regularly advises international and local clients on inbound investments into India and outbound investments from India. He also has experience rendering advisory services to clients in connection with issues pertaining to company law, securities laws, exchange control laws and other related enactments. Yashojit is a dual qualified lawyer and is admitted with the Bar Council of Maharashtra & Goa and also admitted to practice in the courts of India, England and Wales. He has been named as a recommended lawyer by ‘Legal 500’ for transactions relating to investment funds.